Thank you to everyone for your kind wishes, I really do appreciate it. This is the first time I have lost a pet, you think you can cope, but it has knocked the stuffing out of me. The first night I hardly slept a wink. 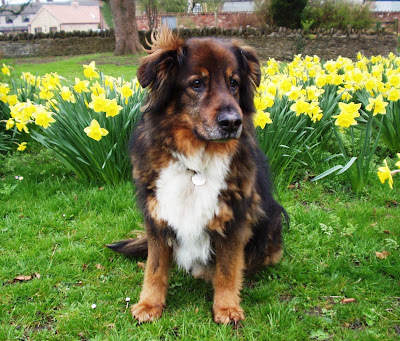 I had taken Freddie straight from the vet to the pet crematorium and said my goodbyes there. Before this happened I thought I might bury my cats in the garden when the time came, but the ground is hard, and I would be so upset I doubt I could find the strength and courage to go through with it. Also if I moved house I would still be leaving them behind. So I though cremation would be best. 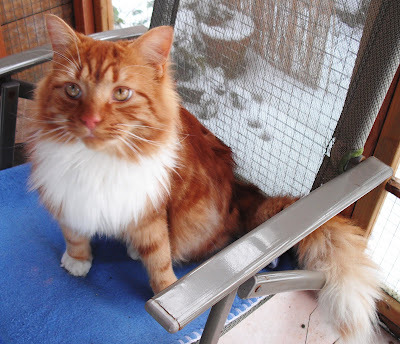 In the spring I will pick a nice day, when the sun shines and the new growth is coming through on the bushes, I will scatter his ashes in the places where he did his territorial spraying, so he will still be doing his duty and scaring the other cats away. I felt a bit better this morning, after a good nights sleep, so I went off for a walk as it was nice and sunny. My friend told me that someone had taken a vehicle onto the footpath along the top of the woods, between here and the picnic area, and at the point where the water naturally flows down from the fields and into the woods, the ground had been churned up that bad the path was now impassible. I went to have a look. They had come down from the posh housing estate and flattened the security post on the tarmac snicket, put there to stop youths driving onto the walking area. The size of the tyre tracks made me think it was some kind of dumper truck, definately a four wheel drive vehicle. I followed the tracks to the the water crossing, it was a mess. They had tried to turn round at that point and gouged great deep ruts into the ground, it's a wonder the vehicle didn't turn over. I was so annoyed that someone had made so much mess on our lovely footpath. A lot of people use this route, it's a very popular picturesque place to walk. I had a bit of time to spare so I set about looking for wood to cover it so that people could get by without too much difficulty. I know where the youths hang out in the woods and went in search of pallets. I found one and dragged it up to the path and along to the swamp. 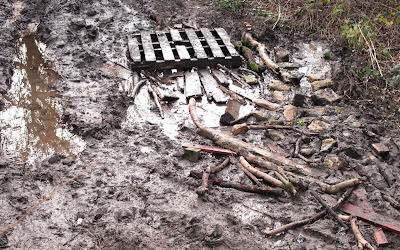 A good scout round the area revealed more wood which I gathered up and threw onto the mud. Nearby is a small stream with some good sized rocks in it, so about twenty of these also landed in the mud. After about an hour and a half, and covered in mud myself I finally gave up. Several people had come by while I was working and were able to get by. Perhaps someone else might come along and finish the job off. This is my building handiwork, as you can see I never got an engineering degree. I'm just going to do this post quickly because I am crying buckets. I took Freddie to the vet today because he had stopped eating and was very lethargic. He had his Christmas chicken dinner on Friday and Saturday, but then he didn't eat much more after that. The vet said he had a big lump in his stomach, he took a sample of fluid from him, the vet said it doesn't look good. He started to tell me about what could be done, xray, scan, then cutting him open. It seemed such a lot to put a cat through, with no guarantee that the outcome would give him a good quality of life. He mentioned the words cancer and tumour and I realised what we had to do. I held Freddie while he went to sleep. 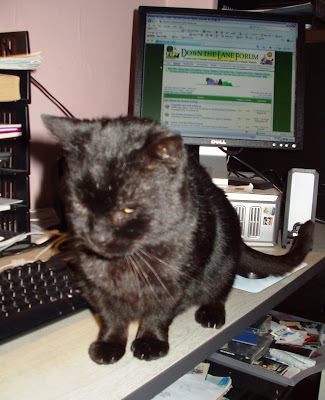 My poor little Freddie, he turned up on my doorstep as a stray in a terrible mess, about seven years ago. A fiesty little fella, he ruled the roost and had us all trembling in our boots. Goodbye my little friend, sleep tight. The garden has looked lovely and clean these past few days, with a thick layer of snow covering up all the ugliness of the empty veg beds, and those where I have yet to pull up the last few dying plants. Today the sun is out and the ugliness is back. The lawn is covered in a white sliced loaf of bread torn to shreds and offered as bird food, along with fat balls, rotting apples, and a scattering of bird seed. The frying pan/bird bath is now visible and even though it is filled with fresh water, our feathered friends are not in a hurry to hop into it. My defences need to be reinforced, I gathered up the plastic tubs, pots, and pieces of wood that were scattered around and placed them on any bare sections of compost which might be the next target. I lifted a piece of wood which was laid over the join between two of the beds, there is a gap of a few inches here, and underneath I found a prickly ball. Horace the hedgehog was asleep. I quickly replaced the wood, not wanting to disturb him. I though hedgehogs buried themselves under piles of leaves and twigs, this one did not seem adequately covered. Not wanting the poor little mite to freeze to death, I got some plastic sheeting and made a tent over his hideaway. I do hope him and his friend survive and come back next spring. They came onto the lawn every night last summer because they knew there was a feast to be had, it was lovely to watch them. 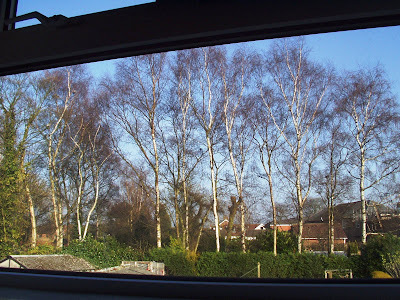 The tall silver birch trees in the next garden are looking like skeletons. At the moment they are still, but when the wind comes a thousand small twiglets rain down on my garden. These are home to several wood pigeons who seem to do all their courting around here. All my pottering in the garden takes place down the bottom in the veg patch, the rest is lawns. The borders are full of evergreen bushes, so these only need trimming once in a while. I love the seasons in the garden, going to sleep in the autumn, resting in the winter, new growth shooting through in spring, and glorious colour in the summer. How lucky we are. A month or so ago I posted a picture of a stone I had covered in crochet, and added some beads for decoration, just to remind you here it is again. Now I have some more stones finished which are going to be part of a larger table decoration. It's taking a bit of time to complete because I have a picture in my mind as to what I want the finished piece to look like. I have to be happy with each part of it, design wise, and the construction has to be as good as I can make it. 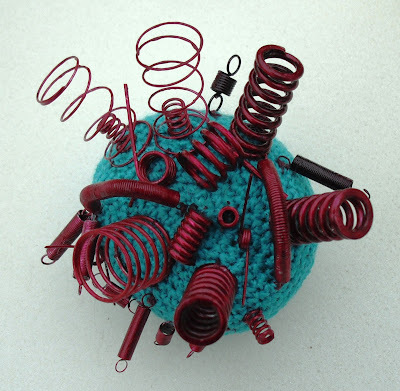 I want to move a bit sideways with my creations, thinking further out of the box, using my imagination to make things more artistically appealing rather than having a practical use. I loved the tv programme, School of Saatchi, where six young people were given the task of creating pieces of art. Fascinating to see how different people's interpretation of art manifests itself. Anyway, I thought I would let you have a sneak preview of my new creation. I have finished six of the stones. 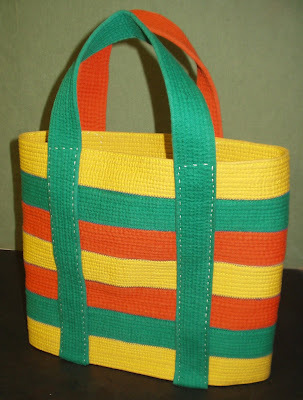 To keep the cost as close to nil as I can, I am using found, recycled, or rubbish items that would be thrown away. Here is one stone. The springs are from a video recorder which I have taken apart. I have painted them with nail varnish, and stitched them onto the crochet covered stone. I rather like this one, the colours contrast nicely. The problem I had with the two long thin springs was the nail varnish chipped off when I bent them into an arc, so I had to repaint them once they were sewn on. Maybe I'll put a picture of another one on soon. I can't stop yawning, don't know why, I haven't done much today. Perhaps it's the two glasses of wine and the glass of sherry, or sittting in front of the computer watching two episodes of Coronation Street, one hour of Victoria Wood, The Fattest Man in Britain film, and the Queens speech. Or it could be the three dog walks that has worn me out, or the hour I spent chatting to my friend who is coming down with some nasty flu like symptoms. I did wash my hands and face and brush my teeth when I got back though, so I hope I haven't caught any of the germs that might have been flying around. Ben was well impressed with his steak, there is enough left for tomorrow, and the cats were equally thrilled with their grilled chicken breasts. I will open a tin of tuna for them tomorrow for their Boxing Day treat. I only have to say the word 'fish' and they immediately rush to the kitchen. No Skyping today, I don't know what happened to my brother who was supposed to call me, he hasn't been online at all. Anyway, one last short crunchy walk through the snow and ice for Ben before bed time. I hope we wake up tomorrow morning and it has all gone, it's getting a bit of a pain now having to tread very slowly and carefully trying not to fall over. I'm glad you all didn't throw a brick at me, I am not usually so grumpy. I took Ben out this morning, and thought how nice it is to live in a village. People are so friendly, people that I hardly know or have never seen before, all smile and say hello. Passing the time of day with the postman as he rushes to complete his deliveries, waving to my elderly neighbour who sits by the window, and chatting to the church gardener as he takes his dog for a walk. We had a big snowfall last night so I expected to wake up to snow halfway up the doors, but I am pleased to say it has started to melt. I like to keep my driveway snow free so I don't drag it into the house on my boots. My friends Alex and Irene are on their way to Edinburgh as I type, I hope they get there safely. It's not a journey I would like to undertake at this time of year, especially as the weather forecast is not good, predicting snow and ice. They have a large family and they all like to meet up for the Christmas celebrations. Thank you for your good wishes, I hope everyone has a lovely time. Cyberkim, I can remember working at Christmas, and I didn't mind at all. In fact the best New Years Eve I had was tucked up in my bed in my lorry, night heater humming, down south somewhere, listening to Big Ben at midnight. Ace! I shall be blogging when the fancy takes me, my computer stays on most of the day. Not very frugal I know, but it's my bit of fun. Catch you soon. It's a strange time of the year for us singletons. People think we're all going to hit the booze, watch endless trash TV, and sob uncontrollably into our hankies on the 25th, because of course, we must be lonely spending Christmas by ourselves. Tis the season of goodwill and families, and I read yet another newspaper article about sad and lonely single people, I'm sure they churn out the same one year after year. Ok, so I am getting on a bit, no geezer in tow, no inlaws, and no kids that are going to turn up on my doorstep with their kids, but for goodness sake, I have been living alone for nigh on 42 years. I couldn't wait to strike out on my own when I reached 18, I was off. So I reckon I have kind of got used to being alone at Christmas, it's no big deal. Why do people feel the need to go on a shopping frenzy, it's a trick, Christmas is for shops to make money, that's all. And what happens in January, everyone asks if you had a good Christmas, I smile sweetly and say yes. 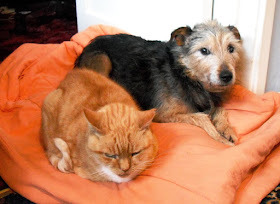 Anyway, I have the company of my pusscats, and Ben dog, perfect. Today I admit I did join the throngs at Tesco, to get a few treats for us. Steak for Ben, chicken for pussies, and smoked salmon for me. This happy and contented spinster will have a lovely day, and I hope you do too. I may not have time to do a post today because I am partying. The Down the Lane Christmas party has already begun, and it may go on till way after midnight. The wine is flowing and I'm just waiting for someone to ask me to dance. If you want to join in you are most welcome, just click on the link, go to Forum, register, and find your way to the members section down in the basement. Maybe I'll see you there, come along I'll introduce you to a few people. It's very cold today and we've had more snow, so it's best not to venture too far. Within minutes of switching the computer on this morning, I had a Skype call from my brother in India. It was amazing to be able to see him and chat with him. You can't chat as if you are in the same room though because there is a slight delay on the signal, so you have to wait for a gap at the end of a sentence. I find this quite difficult because I am usually in a hurry when I speak. I have an awful habit of cutting in before the other person has finished, a bit annoying for them I imagine. Anyway we managed. He showed me his dog, and I showed him Bugsy cat, and then I moved the webcam around the room, and showed him the snowy garden through the window. He laughed at me wrapped up in my many layers, he was sweltering in the heat with a shirt on open to the waist. Our chat lasted 59 minutes, we arranged to have a chat on Christmas day and have a party with a few drinks and food. That will be fun. A bit later on I had another Skype link up with a friend who lives in the Orkney Isles, I haven't seen him for about five years, when he lived in Southport, so it was nice to catch up with him and his wife. They love it up there and had just been out with the ramblers club. I went to Sue's to take some photo's of Bigpuss, isn't he gorgeous. Now we will ask around to find out where he lives, and if they want him back. Ben is now here with me, laid down besides my chair. Lilly is on my knee, Bugsy laid next to Ben, and Freddie on the bed, I'm surrounded by animals, it's great. You're never lonely with a pet. Good news, Bigpuss is now safe in Sue's cat chalet, tucking into his dinner. I say 'his', she hasn't checked on it's gender yet. I think she has fallen in love with it, but there again she loves all cats. With 13 of her own her house is full of them, and each one is special. 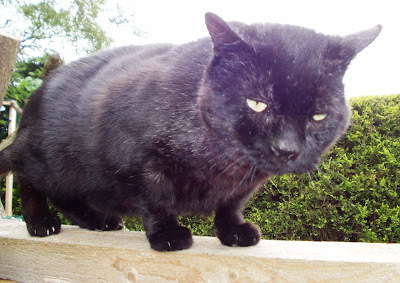 Tomorrow I will go and take some photo's of Bigpuss, so we can look for it's owner. At least he is safe now and has a warm bed, not wandering the streets in this bitterly cold weather. I've been fiddling around with Skype this morning, and hey, it works :-) Not too difficult to install. You are asked to take a snapshot of yourself for your profile, look at the webcam, smile, and click. I wondered if I really want anyone to see me in my slopping around the house gear, it's enough to make them roll about laughing, but what the heck, let's do it. The whole thing is rather clever, more toys to play with. I had to do a couple of tests to make sure I was working ok, test that my voice was beaming out and my speaker is working. I could hear my own voice coming back, weird. I sound just the same as when I was on the tele, a bit posh but rather intoxicated. I discovered I have four people already in my email address book who are on Skype. As soon as I imported the list across, I tried contacting Jonathan as a test. Lo and behold he was online and answered, magic. We had a lovely conversation, most of it was me laughing though. I haven't spoken to him for nearly thirty years although we ocassionally email each other. Isn't it just amazing that we can now chat. I have added another two people to my Skype list of contacts, so maybe later I will get to talk to them. I'm not sure what the time difference is between here and India, so when my brother gets out of bed, or gets logged on, we will have a chat. I will leave the computer on for the rest of the day, because it will tell me as soon as he is around. We've had some heavy snowfalls over the last couple of days, looks pretty but not nice to drive in. I got my car back from the bodyshop yesterday, the paint job looks ok, but it will have to go back because I can't open the rear passenger door from the outside. Seems they took the door handle off and didn't but it back on correctly. I went to the Scrapstore this afternoon for a natter and a coffee. They are closing now untill the new year. My friend Sue rang me while I was out, she thinks someone has found Bigpuss, so I went and picked her up. We went to a womans house with a cat basket but there was no one in. According to the description the woman gave her on the phone it sounds like it could be the lost cat. Now we are waiting for a phone call to go and collect it, as Sue has an empty chalet, and we can keep it there while we get some posters up around the village. The plan is to get it back to it's owner, but we are wondering if the owner actually wants it. 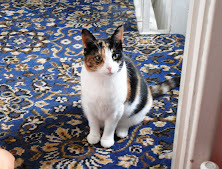 If I lost a cat I would have posters up all over the place and leafleting, within hours of it going missing. My brother who lives in India emailed me yesterday to ask if I have Skype, so we can talk to each other. Well I haven't, but I bought a webcam while I was in town, so now I have to download the programme from the site and get it set up. I'm not sure how it works but I'll give it a try. My sister is also going to get set up with it, I'll let you know how it goes. I was rather hoping to go out tomorrow, but with the roads being icy it would be madness to set off on a two hour journey if you don't really have to. I wanted to go to the Dickensian Christmas Market at Grassington in North Yorkshire, the photo's of last years event look fabulous. Such a disappointment, but it's not worth the risk. The journey could take a lot longer if there are hold ups because of accidents. 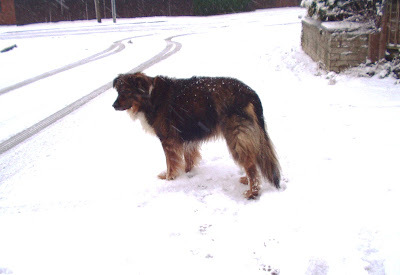 It looks like I shall have a lodger next week, I have offered to have Ben while his owner goes down to London. She could have taken him with her but it would be a lot of hassle staying in a hotel with a small child as well. I am not doing anything in particular so he might as well share Christmas with me and the cats. I've got to get them all their pressies yet, some chicken and tasty treats might go down well. I thought I would put this spring picture in here to remind us of warmer times, and to cheer us up a bit. He is gorgeous. Let's lighten up a bit, are you getting into the Christmas spirit? This made me smile, my friend emailed it to me, cute kittys, all say Aaaarrrrhhhhhhh. 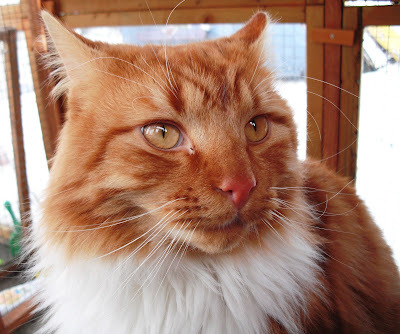 Talking of cats, there is a lovely big ginger cat with a massive bushy tail around here, when it sees me it meeows like crazy and follows me. I was talking to my friend Sue about it who fosters cats, she has seen it as it hangs around the medical centre where she works. We are not sure where it lives or even if it has a home. I used to see it a few months ago, always in the garden of the house on the corner opposite the medical centre, but then it vanished. Now it is back. I think it has been in my house and stolen some food from my cats dishes. I was at the top of the stairs and caught a glimpse of a bushy tail disappearing out of the back door, I always leave it open so my boys can come and go as they please. At first I wondered if it was a fox, but I reckon it was big puss. It followed me last night and I picked it up, it seemed keen to stay with me. The fur underneath it and round it's back legs is a bit dirty and matted, but it wasn't skinny, as far as I could tell. I put it down and it followed me again. I was going to bring it home and ask around if it belongs to anybody. Not that I really want another cat though, but Sue would find a home for it if it is homeless. Anyway, big puss jumped up a six foot high fence and down the other side into a garden. I went back later to look for it but the paddock was awash with people carol singing around the tree, so I suppose puss was keeping out of the way. I spoke to Sue later on the phone and we couldn't decide if it belonged to anyone, so we thought we would ask around first before we catnap it. Sometimes people go out and leave their cats to walk the streets all day and night, which I think is terrible. I got my Lilly because his previous owners didn't care about him, he lives a life of luxury here with me now, compared to the dog kennel at the bottom of the garden he had before. That reminds me I must send them a Christmas card, from Lilly, or Smartie as they used to call him. They will probably be surprised he is still alive. Wow, I am glad I wrote that post yesterday, I struggled with it I must admit, afraid I might be revealing too much about myself. But it sparked a reaction and I thank everyone who added their comments. It's too big a topic to cover in one post so I'll stretch it out a bit more for today, don't worry you don't need to comment again. 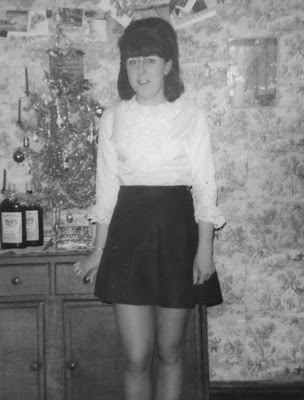 Billie Jane, I have some awful photo's of myself as well, most of them get torn up because I can't bear to see them. I can't count the amount of times I have been looking forward to getting my photo's back from the developers, only to be bitterly disappointed with the face staring back at me. Thank goodness for digital cameras, press delete and they are gone. Steve and Denise, Thank you for looking past my face and not just saying, 'you look alright to me', as most people would. You know that comment would be no help at all. If only we could get more people to look through faces. I hope 2010 is good for you. Brightandnew, I am really pleased that you like my blog, I write from the heart, no pretentions, no ego trip, just my slant on life and what I make of it. If you can pick bits out that interest you then I'm happy. Fluttergirl, I am really chuffed that you decided to comment and share your hurt. I too remember the nasty things people said to me. Even a member of my own family was hurtfull. He once said, 'you look effing awful, why don't you do something about yourself'.' Another time I overheard two men talking about me, one said, 'she's got a face like an effing thunderstorm.' (Excuse the French). You don't forget things like that. I hope you have a lovely life from now on. Sharon, I didn't find out what BDD was till later on, and when I read about it in a magazine, I thought, wow, that's me, now it is becoming clearer. Of course at the time I didn't tell anyone for fear of them calling me a crank. But it was like a light going on, oh so that's it! It's more than just hating something about yourself, it becomes the only thing you think about. Some people suffer much more than me, thankfully I have managed to cope reasonably ok. In fact it has probably made me the person I am. My confidence can sometimes plummet, then I over compensate and mentally drag myself back up from the doldrums, even becoming slightly bolshie. You have to or you wont survive. Annabel, I will look out for that book, I greatly admire women who challenge the norm, women who aren't afraid to be themselves. There are too many expectations put on women to conform to the stereotypical wife/mother role. It's good to know that women are choosing to follow their dreams. 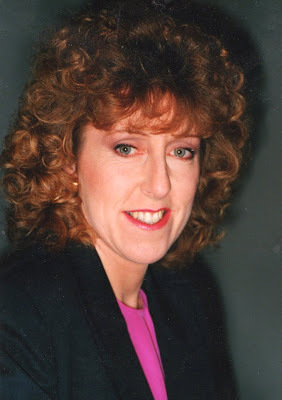 Jane, I like your blog piece, it's a shame they airbrushed Twiggy, she looks lovely anyway. When will people wake up and see the trashy celeb magazines for what they are, a money spinning, made up, plastic fantasy world. Sometimes those nasty media people snap a star without their slap, usually women, and say, 'oh my God, what does she look like?' Ermmm, excuse me....she looks normal. This topic has brought a lot of positive feedback from you all, and only good can come from it. The more it is discussed the more people will be brave enough to come out. Beauty really is only skin deep. Mind you, I didn't look too bad here did I? Forgive me for not posting yesterday, I haven't been feeling too well and I can't work out why. I think a phone call to NHS Direct is imminent, however I will do this first. And now for something completely different, I feel confident at this stage to 'come out'. No I am not gay, but there has been something going on in my life which I very rarely talk about. I have tried to explain this to a few people but the response has always been the same, awkwardness and blank looks. If you haven't experienced it you can't understand it. I am hoping that at least one person reading this will know what I am talking about. I may waffle on for sometime, so if you become bored, feel free to skip this bit. I don't blame you because I can waffle. I'll give this, 'something going on', a name, Body Dysmorphic Disorder, or BDD. There, I've said it out loud and blown my cover. I'm not writing this to get to get it off my chest, I have tried to cast it off before and it doesn't work, it is always there, sometimes hidden and sometimes it rears it's ugly head. 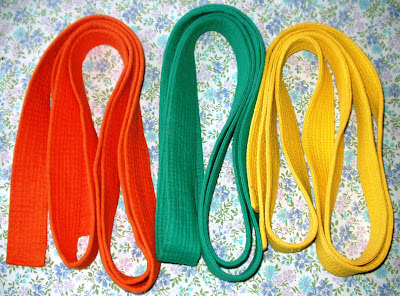 If you know someone who has this, my post will help you understand. It is classed as a mental disorder though mine has never been diagnosed. In my younger years I thought hating your looks was a part of growing up, everybody did it and I would grow out of it. I never did. Hair dyed black, hairpiece, lots of thick makeup, not wearing my specs. What has prompted me to write about it at this stage is Susan Boyle. Remember when she first came onto the stage, people ridiculed her, they laughed at her, and they poked fun at her. They judged her on her looks alone. Why is it that people are so judgemental before they know all the facts. Susan admitted to struggling a bit in life, she was bullied, and suffered name calling, something I can well relate to, it happened to me. What an absolute joy when she opened her mouth and sang, finally her dream is coming true. God bless you Susan. Looking back, my BDD started with bullying at school. Of course when you are young you try and get on with things, but a seed is planted waiting to manifest itself later on, in whatever form it may take. In my case I learnt how to cope, some of the time. At this point I will pick out a few phrases from various websites so that you know I am not just talking about bullying but the devastating effects it can have. Dr David Veale.....'Most sufferers are preoccupied with some aspect of their face. Typical concerns are percieved flaws on the face or head. Sufferers may be concerned about a lack of symmetry, too big, too small, or out of proportion.' In my case it is my face. Notice the word 'percieved', for that's what it is, a preoccupation with a percieved defect in one's appearance. Everyone tells you, you look normal, but inside your head you are not. Dr David Veale......'Most sufferers are extremely distressed about their condition and spend several hours a day thinking about it. They remain very anxious and self concious. They monitor and camouflage themselves excessively to hide their percieved defect by using heavy makeup, and brushing their hair in a particular way.' Yes, I did all that. Dr Frederick Penzel.......'People with BDD may be depressed because they cannot convince others of the problem, and not being able to change it no matter what they try. Social isolation is also common.' I will add here that my level of BDD is probably not as high as some people, but I felt cheated that God hadn't given me a normal face. I will explain in the next paragraph. I have grown up hating my face, a bold statement but true. As I said, it started with bullying, my teenage years were hell at times as I struggled to fit in. The swinging sixties were indeed exciting, I dreamt of kissing Paul McCartney, I imagined myself singing on stage like Cilla, walking down the catwalk after Twiggy, I idolised these people. Then I caught sight of myself in the mirror and it caused me great sadness. No matter how I tried to copy their styles, their fashions, and their looks, it always ended in tears. It was hopeless, I would never be pretty. Looking back this knocked my confidence right off track, I thought I wasn't as good as anyone else, I left school to go to work because I did not do well in lessons. Boys did not want to go out with me and I was laughed at if I mentioned to my friends that I liked someone. I was painfully shy, and painfully thin and everything was such a struggle. 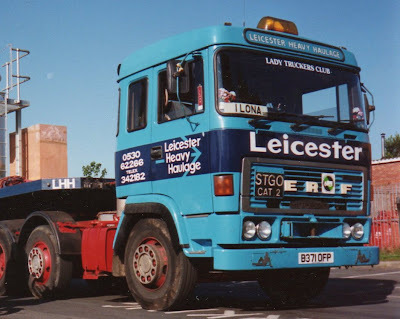 A turning point came for me when I passed my HGV driving test at 27, and got my first lorry driving job, then I threw myself in at the deep end of working in a male environment. I was engrossed in my new career, so BDD was pushed aside because now I had more important things to think about. It did come to the surface however as the bullying began again, this time from men who hated me. They said I was taking the job off a man, and I should get back to the kitchen sink, in 1976 men were very chauvinistic. Again I cried buckets and blamed it on my face, I was sure that attractive people didn't have these problems. Another turning point came a few years later. I was listening to a programme on Radio 4 about a charity called Changing Faces. I heard the story of James Partridge, a young man who was horrifically burnt in an accident when his landrover turned over and caught fire. He went through many operations and skin grafts to restore his face to some form of normality. I had to stop my lorry to listen, he sounded such a kind and caring man. He started the charity because there was very little help for people with facial disfigurements, after the surgeons had done all they could. I took the phone number down and rang him when I got home. I explained how I hated my face, and asked if I could attend his courses for confidence building. I felt a bit of a fraud really because to the outside world I do not have any facial disfigurements. I explained that my scars are on the inside. He was so understanding and said I would be welcome to meet him. I booked the two day course. Looking back now, I feel that my face has been the biggest obstacle in my life. I still hate it, that will never go away. There's no getting away from the fact that people do judge you by how you look. The media is to blame for young girls mutilating themselves under the surgeons knife, bigger this, move that, flatten the other. There is an appetite for beauty, but the best beauty of all is the one you can't see. Most of my weekend has been taken up with Henry sitting, he came on Saturday for a sleepover. We had a lot of fun out walking, we met several other dogs which delighted Henry as he romped around with them. I managed to keep him away from dykes full of water thank goodness, so I didn't have to give him a wash down before letting him back in the house. The cats are getting used to him now, Lilly even lets him lick his face, Lilly is a boy by the way :-) There was a bit of commotion this morning though, Henry had followed me upstairs and I was in the bathroom, he stuck his head round the door of the office and didn't notice Bugsy asleep. Such a kerfuffle, yelps and hissing, Henry knows when to back off though. He is becoming a very clever boy now, I can talk to him and he listens. There are some words that he understands, and if I spend a penny he knows it must be walk time and he sits looking at my jacket hanging on the hook behind the door. Helen forgot to bring his ball so we didn't have anything to play games with, then I remembered he picks up plastic pop bottles in the street and tosses them around, and I had an empty squash bottle in the bin. This did the job of entertaining him perfectly. He was here for 24 hours, just to give Helen and Paul a break, at just over a year old he is very demanding, needing four walks a day and plenty of playtime and fun. It disrupts our routine a bit when he comes, I have to move the cats food dishes upstairs and put a barrier up at the bottom of the stairs, so Henry can't get them. I sleep on a camp bed in the living room, with Henry on a chair, because he wants to be near me. It's nice to have him here for visits, and to help Helen out. A couple of weeks ago I went a bike ride over the bridge, and up the other side of the River Trent. I had to cut my journey short because I was going to run out of daylight hours and I had no lights, and my backside and legs were aching. So yesterday I went in the car to see the bits that I missed. Blacktoft Sands is a nature reserve on the south side of the River Ouse about eight miles east of Goole, in East Yorkshire. It has the largest intertidal reedbed in England, and has a fascinating range of birds and other wildlife. 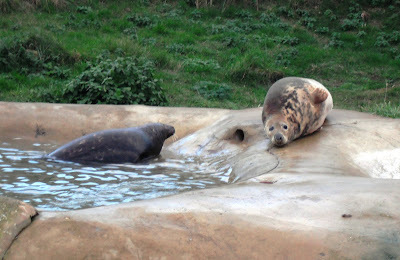 There are six observation hides, a reception centre and picnic area. Although I don't know a lot about the different species of birds, I do like looking round these places. It was a lovely sunny but crisp afternoon, the frost was still on the grass where the sun hadn't reached. 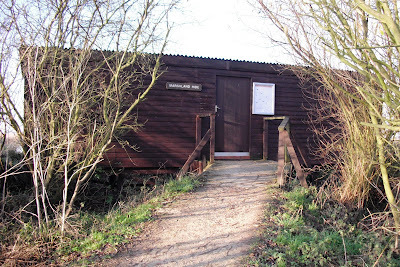 This is the entrance to the Marshland Hide. Inside are narrow windows all round and benches to sit on while you watch the birds . 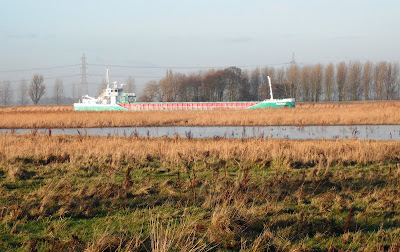 This is the view from inside the Hide, a barge is passing having unloaded at Goole Docks. It looks a lot closer than it is but it is in the channel beyond and not travelling through the reserve. The sun was setting as I left, I wasn't sure if photo this would turn out ok but I think it's nice. I'm rather pleased with my bag of rubbish. It doesn't look very artistic, it doesn't look pretty, but it is my only bag of household rubbish that went in my grey wheelie bin destined for landfill, in two weeks. Yes this is the total sum of my rubbish that can't be recycled, and I'm proud if it. In fact I tell a lie, there is two empty cartons of soya milk in there, squashed flat. If I want to recycle those I have to drive ten miles there and back to the council dump, not a good idea. Most of it is cat food pouches, bits of plastic wrapping that can't be used for anything else, and one or two labels off tins which I don't have to remove but do, after washing and squashing. Any smallish plastic bags get used for dog poo picking, things like bread bags, insides of cereal packets, and frozen peas bags. As I don't hand pick, I use a small plastic spade, any bag will do. I recycle all my plastics where I can, you have to check on the number in the little triangle that is stamped on the bottom. Sometimes it is so small I have to look closely over the top of my specs. This gets put in the burgundy wheelie bin along with the cardboard. The biggest filler of this bin is the boxes that the cat food pouches come in. I think that is such a waste, why can't they just put 12 pouches in a small plastic bag, then I could use it for dog poo. My plastic boxes for paper, and tins and glass recycling get collected once a fortnight alternating with the cardboard and plastic, but I only need to put these out once every six weeks. I might have a few cans and a couple of wine bottles, maybe an odd coffee jar or honey jar, but that's about it. My newspaper box has junk mail and the free newspapers, so not much there to collect. So the biggest creator of everyday rubbish in my house is the cats, the other bag that goes into my grey bin is their dirty cat litter. I use the clumping type and try to keep it to a minimum by using the plastic spade to lift out the soiled material, then top up with fresh. Every week I run it down and give the boxes a good scrub out and start again. 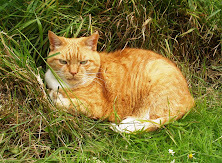 In this weather they tend to stay indoors more, but in the summer their use of cat litter dramatically reduces and the hedge bottoms get well fertilised. I think my lack of rubbish is down to my frugal living, only buying what I need, and buying simply. Of course the packaging that goods come in is beyond my control, but a lot can be recycled these days, and if you don't buy junk food that cuts a lot of rubbish out. 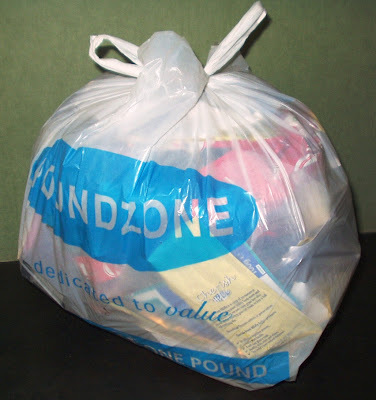 Can you get your rubbish down to one carrier bag for two weeks, like I can? I've made a profit today, must write that in my little book. Today I spent nothing but made a profit. I took Henry for a walk in the woods, we had a lovely time, he was romping about getting filthy and I was huffing and puffing climbing back up the steep bank to the top. I just happened to look down, being carefull trying not to lose my footing on the wet leaves and twigs and fall buttocks over chest, to put it politely, ha ha. I spied a coin, a very dirty coin it must have been there for a long time. I picked it up, how lucky that I had looked down at precisely that moment in that particular spot. I must have had an angel guiding me, perhaps I have an inbuilt radar which was picking up the signal from this coin. I had been selected from the many people who walk through the woods, to be the one who would have this lucky find. Perhaps it's an omen, fate that I found the coin, perhaps there is more good luck coming my way, how exciting. Maybe tomorrow I ought to go to the shop and put the ten pence coin towards a lottery ticket. You never know, this could be my lucky break. I've just been watching a magazine programe on the iplayer, and one of the stories was about getting help with managing your money when you are struggling to make ends meet. I agree there is a need for the government to fund places where people can go and talk to an advisor about their problems, but I can't help thinking that instead of getting right down to the nitty gritty, they just paper over the cracks. The programe featured two similar stories of hardship, one a single mother bringing up three children on around £800 of benefits a month, and a pensioner also living on a similar amount. They both have debts of £5,000. They were advised to start writing down every penny they spend in a notebook, so they can see where their money is going, something I think everybody should be doing regardless of whether they need to or not. Even people who earn a lot of money can easily find their spending spiraling out of control if they don't monitor it. The camera followed the mum of three as she did her shopping, and she talked about seeing things she liked but couldn't have them because she couldn't afford it. She picked up an aerosol can, looked at it and put it back on the shelf, to illustrate her point. I thought that was a good sign, at least she was trying to keep her spending in check. But later she said she spent £300 on each of her children at Christmas, and got them a large present as well. Now I can see how she got herself in debt. One thing that baffles me is why some people don't understand the difference between luxuries and necessities, because if they did they would be halfway to solving their problems. 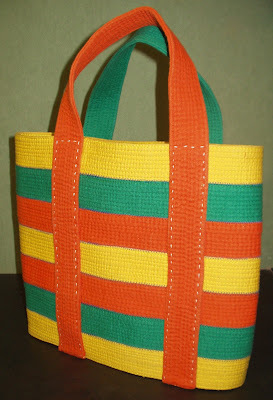 If you see something and think, I wish I could buy that, wouldn't it be better not to look in the first place? If you can't afford something and it causes you a lot of sadness and you think you are being deprived of a fundemental right to own that object, you are close on to becoming a slave of consumerism. When I say look at the nitty gritty of spending, I mean an indepth conversation about why you want to buy objects that you could well live without. To discuss each individual item, what makes you want to buy it, is it because everyone else has one, is it because you are in the habit of always putting it in your shopping trolley just because it's there, is it pressure from other family members to get one, or is it because the supermarket with their, 'in your face', displays make it scream out, 'buy me'. Another thing to look at is the value an item has for you if you buy it. Will it make your life 100% better? Will it give you many years of fun and entertainment, or will you get bored with it in six months and give it to a charity shop? If it is a large purchase you could also work out how many hours you have to work to cover the cost of it, will it be worth all the toil? Or if you live on a pension as I do, how many weekly payments will I have to forfeit in order to pay for it. It's all about balancing the value of the item with how much pleasure it will give you, and how much pain it will inflict on your finances. Is it worth it? It has become second nature to me to question all my purchases before I part with any money. There has to be a good enough reason for me to open my purse, and the biggest reason is that I need it. It's not good enough to think, 'that would be nice', or 'I fancy that'. I know some people would eat chocolate every day, but for me it is an ocassional treat. Yes I did fancy it, but I savour the sensation, it gives me an uplifting experience and makes me feel good about life. So you see you don't need to deprive yourself from all life's little pleasures, just work out exactly what you need and what you can afford. I can't decide where I fit in any more. I feel young but I am not young, I look younger than my years (so I'm told), I am not old and certainly don't feel old. My head thinks I am 29 but I look more like 50. I've done a lot of living but I've still more to do, so I must be somewhere in the middle. I know I'm not a teenager because I don't like their music, and I don't go out on a Saturday night to drink myself silly and throw up everywhere. But I know I'm not old because I don't wear cardigans and pearls, and play bingo down the club. What's brought all this on you might ask. Well, I went out today to the DHL Retired Employees Christmas Dinner, very nice it was, in a local pub. It's the first time I have ever been, they meet three times a year for a meal and a natter. Everyone was very friendly, they made me feel most welcome, but I can't get my head round the fact that I am a pensioner. Looking around I realised I was the youngest person there, and I felt completely out of place. So where do I go to meet people like me? People who do daft things on a whim, unconventional people, outdoor type people with a sense of adventure. Footloose and fancyfree people who are up for a challenge and not afraid of making a fool out of themselves. Where are they all, or am I the only one? I did a bit of tidying this morning, only a bit mind you, half an hour is about my limit. My living room tables were disappearing under masses of crafting bits and bobs, a sort out definately needed. One table is against the back wall under the window where the cats sit in the sun, that's when we get any. 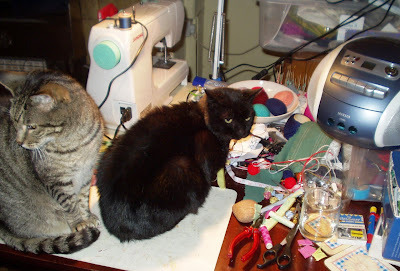 They jump on the chair, then onto the table and climb onto the window sill, leaving a trail of cat hairs floating around. I decided to strip everything off the table and pull it out so that I could clean behind the radiator. The tablecloth started life as a bed sheet, I opened it out and gave it a good shake outside and refolded it with a clean side on the outside, and put it back on again, no point in washing it untill all sides are dirty. Most of my housework consists of a quick whip round with the Dyson once a month, but today I decided to do my thorough six monthly job by getting down on my hands and knees and using the hose with the attachment, to get right into the corners. When you get your face down near the carpet, especially a dark coloured floral carpet like mine, you can see all the bits you have missed when Dysoning standing up. I put the table and chairs back when I had cleaned underneath, and put the items on a tray on the table rather than have them scattered everywhere. By this time I was getting fed up of cleaning and decided to leave the rest of the room for another day. Last week I bought a bag of plastic shower curtain rings from a charity shop for 50p. Today I got my spare curtains out of the cupboard and used the rings to hang them on top of the curtains already up. This gives it an extra thickness, hopefully keeping it a bit warmer inside, well it would be warm if I actually put the heating on. I am determined to soldier on without it, only flicking the switch if I am absolutely freezing cold. At the moment I am back to my old habit of last winter, of wearing loads of clothes indoors, including coat, scarf, and gloves. This morning I washed my hair in the kitchen sink with two kettles of hot water. The rinse water was still quite clean when I finished so I got a floor cloth and got down on my hands and knees and washed the kitchen floor. Might as well get some more use out of it before I pour it down the sink. I've just remembered, I'm getting a free Christmas dinner tomorrow, only I shall be having the vegetarian option. I'm off to the Black Horse to meet up with all the other Exel Logistics pensioners from this area, our 'Christmas works do', you could call it. Should be fun. I've just listened to The Archers omnibus, the only soap I follow. It's a pleasant bit of chitter chatter and I can be getting on with other jobs while I listen. Some of the story lines are very emotional, especially the one at the moment about Jack Woolley going into a care home. Peggy his wife was becoming worn out, because his advancing dementure is becoming too much for her to cope with. Now he seems settled in and has a few of his personal possessions around him, poor Peggy now has the guilt to cope with, leaving him in a prison, as she put it. It reminds me of an incident some years ago, my brother in law had an elderly aunt and uncle in their late eighties living in a care home in Lancashire. They wanted to move to the Midlands so that my sister and her husband could visit more often. A place was found and a date was set to move them. My brother in law hired a box trailer and I went with them to help with loading and unloading the furniture. I remember it clearly, we were ready to leave, checking we had picked everything up, and the elderly couple settled comfortably in the car. I was shocked, we only had half a trailer load. Surely there should be more, went through my mind, is this all you end up with after living on this planet for almost ninety years. It made me very sad that this small pile of possessions was all they had left to show for a long life. That image of the half full trailer has stayed with me, will that be all I have left as well. Now, several years later I see things differently, I look around my house and think someone else will have to remove this eventually, so why not make a start now. Don't put the burden onto whoever is left, they will probably throw most of it in a skip anyway, but gradually wind it down, sort it out, and pass it on to someone who will make good use of it. Recycle now before it is too late, this could be the answer to save the planet. When all the shops have nothing left to sell and close their doors, and I do believe that will happen eventually, that's when we start reusing all our old stuff. Then everyone will realise why we are all here. Pity I won't be around to see it happen. If I can end up with half a trailer load that will be fine, that's my bit done After all, we don't own actually own anything, it is all borrowed and we just give it back. A bit sombre this post, but not to worry, now I have a whole lot more living to do. It was a lovely sunny start to the day so I decided to go out. I had it in mind to try and get in the festive spirit and visit the big Christmas Market in Lincoln, it really is spectacular. But the thought of being squashed amongst thousands of visitors and herded around like sheep, peering over peoples heads trying to get a look at the stalls, just didn't appeal. So I went for my second choice, the healthy option. 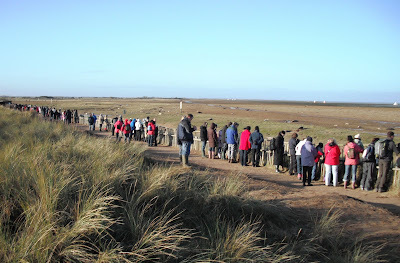 I arrived at Donna Nook just after midday, and although there was a lot of people about I managed to get a place in the car park. 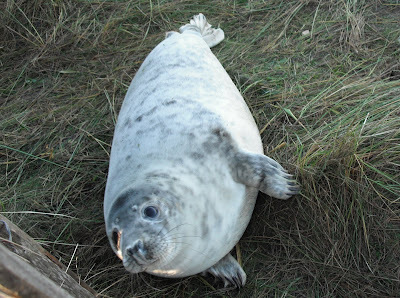 You wont find Donna Nook in a road atlas because the road leading up to it is a dead end before you fall into the sea. It is near the village of North Somercotes, half way between Cleethorpes and Mablethorpe on the Lincolnshire coast. It is home to an RAF bombing range, but that wasn't what I had come to see. 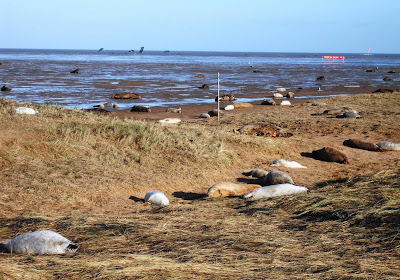 This is also a Wildlife Trust nature reserve, and every year at this time hundreds of seals come onto the sand dunes to give birth. 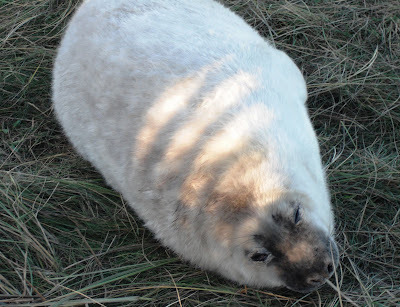 It has one of the largest and most accessible breeding colonies of the grey seal in the UK. 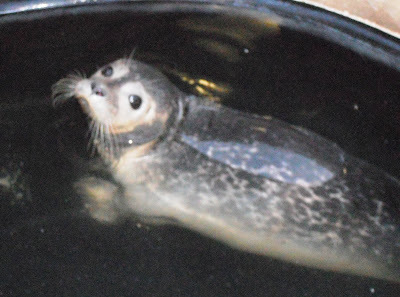 From 27th October to 30th November, 1,082 pups have been born. The conditions for them are ideal here, mainly saltmarshes, inter-tidal mudflats, and sandbanks. You can walk along a footpath which is separated by a fence from the breeding area. 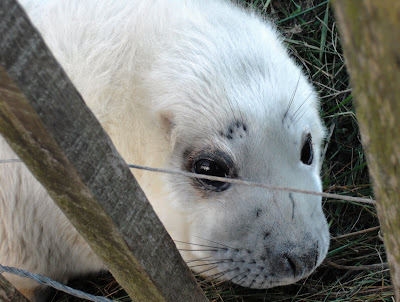 The seals come very close, it's very tempting to reach out and touch the pups, but you must not, because the mothers would smell your scent and abandon them. 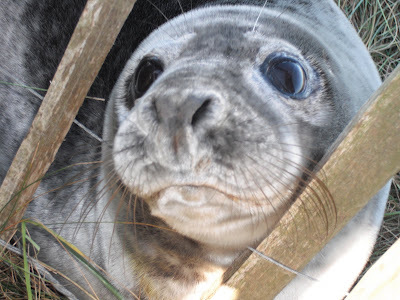 It's a wonderful sight, those gorgeous big eyes just melt your heart . I think my diet may be a bit lacking at the moment, I have lost about four pounds in the last few weeks, without trying to. I eat lots of vegetables, probably too much and nothing else. I can be a bit obsessed about not eating any junk food at all, but maybe a little bit wouldn't be so bad. I must try and introduce a bit more variety into my meals, so this is what I bought today, and some of the reasons for my choices. 6 pieces of frozen salmon for £4.50, that is 75p per piece, so I should be able to keep within my £1 per meal limit if I add some veg. 6 pieces of frozen tuna steaks for £3.69, that's 73p per piece so again it keeps it down to £1. Pack of six custard tarts reduced from £1 to 65p. One thing that bothers me about them is that I don't think they use free range eggs. I will have to cope with the guilt but I wouldn't buy them at full price. 2 frozen fish pies at £1 each. I don't normally buy processed ready meals but they are handy to have now and then if you don't feel like cooking. I put extra frozen peas or sweetcorn in them before I microwave them, to bulk it up a bit. 2 large pots of organic yoghurt at £1 each. I normally buy six small pots for £1, but I got the large ones because they are probiotic and are supposed to be better for you. I will try and spin them out into six portions per pot so it won't be any more expensive than the single ones. A small cheese and tomato pizza for 46p. A bit sparse with the topping but I shall add a few extras to make it a meal for under £1. Pizzas are never usually on my shopping list. A packet of choc digestive biscuits for 33p, Tesco Value brand. Don't tell me off, I never buy biscuits, but I fancied a bit of chocolate and the biscuits are a cheaper option. I will try and make them last me the week. Packet of 6 oatcakes for 39p. These will make 3 lunches, fill with cheese and tomato and microwave, scrummy. Packet of 6 potato cakes, reduced from 43p to 25p. I haven't had these before but they were cheap. I will toast them with a topping for lunch. Litre of soya milk, sadly full price £1.26, no special offer this week. Small vegetable quiche for 95p, it will be over the £1 if I can't find something for 5p to add to it. Just had a thought, I have some cuppa soups which were 5p each so that would just about do it then. Most of my shopping was cat food, Tesco have a special offer on, Felix As Good As It Looks for £3 instead of £4.34, so I stocked up with a few boxes, the cats get better fed than I do. I usually buy this from the market at £2.99 but they have run out, when Tesco put theirs back up again I shall be back to the market to see if they have had a delivery. My next shopping trip will be in about two weeks when I shall use a £3 off voucher for my tins and packets, I will be needing some more bran flakes by then. I also had a little treat today, I wanted to get the Susan Boyle CD, but couldn't justify buying something I didn't need. So I got round my little dilema by using my points vouchers which I had saved up, after all they were given to me and I still have plenty left. The CD cost me 65p plus £9 in vouchers. I've just been playing it, it's lovely, so pleased I got it. Good morning, another new day another fresh start. I awoke this morning and remembered what I have to do today, take my car to the garage for them to assess the damage inflicted upon it yesterday. Now I have had time to mull things over in my mind I can't help wondering why pick my car out of several others that were parked in the street. Was it someone who knows me, possibly someone who wants to hurt me. I don't normally make enemies but you can never tell what goes on in someone's deranged mind. I have one or two suspicions, but of course with no witnesses and no cctv cameras, I am unable to follow it up. The police are going to make some enquiries but I don't expect them to make any arrests. I remember many years ago I was shocked and horrified when someone I knew said he had done exactly the same thing to a car which had parked quite legally outside his house. It had annoyed him so he thought he would teach the owner a lesson so they wouldn't park there again. He got his come uppance though, several months later we met up and went for a coffee. On our return to the car park someone had scratched the side of his car. He was quite annoyed by it, I kept my mouth shut, muttering under my breath, you reap what you sow. Now he wasn't a dodgy character at all, in fact he held a very responsible position working in partnership with the police force. His behaviour was not what you would expect from someone who was held with high regard. It just goes to show, you don't know what is going on in someone's mind. Anyway time to move on, no point in crying over spilt milk, there are people who have many more worries than I do. I just heard on the news about a young man who who was also the victim of a violent act yesterday, only he paid for it with his life. Someone had tried to grab his laptop, he tried to stop them and was shot in the stomach by the assailant, he subsequently died. A tragic story. It puts everything into perspective, I may be £100 lighter, but I still have my life. So sorry for the young man and his family. There are some days when I would like to live as far away as possible from other human beings, and today is one of those days. Sometime between 2pm and 2.20pm today, my car was vandalised. Someone decided they would have a bit of fun and scrape down the side with a sharp instrument, I think they generally use a key. From front to back there is a wavy scratch, down to the metal, and the whole side will have to be resprayed. What goes through someone's mind when they do that? Why pick on my car? I was parked at the back of the Scrapstore after unloading some stuff I had collected from a couple of businesses, doing my bit of voluntary work. I had a cup of coffee and a chat and came out to find that some pathetic excuse for a human being had decided to land me with a bill for £100 and an insurance claim. I feel as if I have been personally attacked myself, I feel very saddened that there are a lot of evil nasty people roaming about, and I do despair at what is happening in the world. Thank goodness for cats. No matter how angry or upset I am, I still have Lilly and Freddie both trying to sit on my knee as I type this. 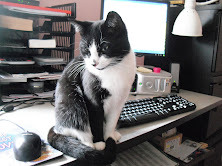 I have already given up my comfortable office chair for Lilly to sit on and I am on a hard dining room chair, but no that isn't enough, he has climbed onto the desk, gone round the back of the computer, and is now balanced once again on my knee. He makes me laugh with his determination to succeed and get what he wants. What would we do without cats eh! Oh well, onward and upward. I've just been reading an article about someone who claims to have lived without money for a year, none coming in and none going out. I find that very hard to believe. Mark Boyle is 28 and lives in a borrowed caravan on an organic farm near Bristol, he volunteers his services on the farm, presumably to cover his rent and access to a clean water supply. It sounds all very romantic, living off your own means without the burden of modern day stresses and strains, but I'm sure if you asked homeless people living on the streets, they wouldn't think it was an ideal situation to be in at all. If you have no money coming in you have to rely on the goodness of others to help you out, which to me sounds a bit selfish if your situation is self imposed. If you plan to barter your services in exchange for food, light, heat etc, then that is more acceptable, but there are bound to be people who feel sorry for you and donate something out of the goodness of their heart. At what point does this turn into begging? As you know I do believe you can live off very little money, but I would not like to live off no money at all. I tried living in a caravan once, though I did have a paid job, my house was sold and the money was in the bank waiting to buy another. It was quite nice not to have to pay utility bills, council tax, or mortgage. My job was a short pleasant walk down the road to the cement works, I could shower there when the day was finished before I walked back to make my dinner. The downside was that after a few months I ran out of clean clothes and bedding, no launderette in the middle of the countryside. I got fed up of the cramped kitchen, no room to make decent meals, no fridge, and the condensation inside made everything damp. 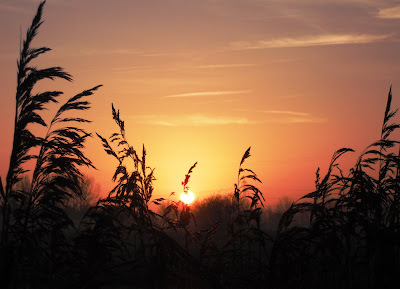 It was also very lonely, I used to go walking a lot just to get out and meet people, and then it got to November and it was so cold I went to bed as soon as I had my dinner at 6pm. Then I bought another house. As an experiment, I believe living without money is something everyone should do for a while, it certainly makes you think about what is important in life. I could easily not buy anything for a week, or even maybe a month, I would have to stock up on cat food though, my boys have to be fed. Another experiment I would like to see is for all the shops, cafe's, restaurants, and retail outlets, to close one day a week, let's go back to six day trading. Wouldn't it be nice if families did something together on a Sunday instead of traipsing round Tesco's. Can't see it hapenning though unless the whole world goes bankrupt.